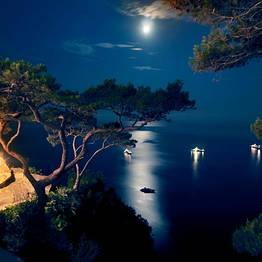 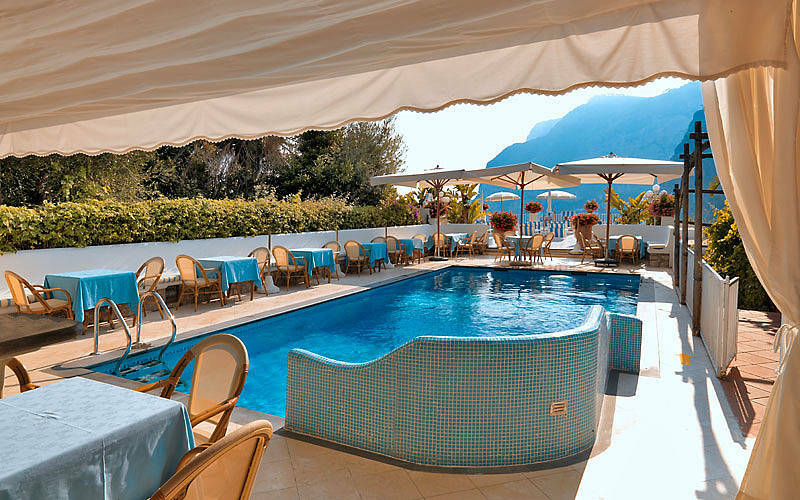 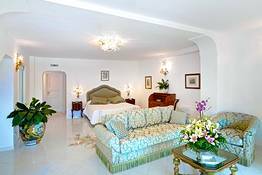 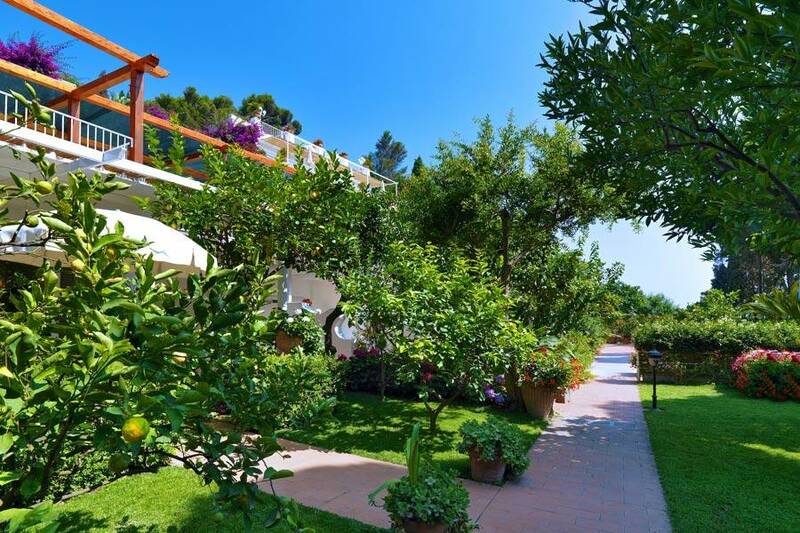 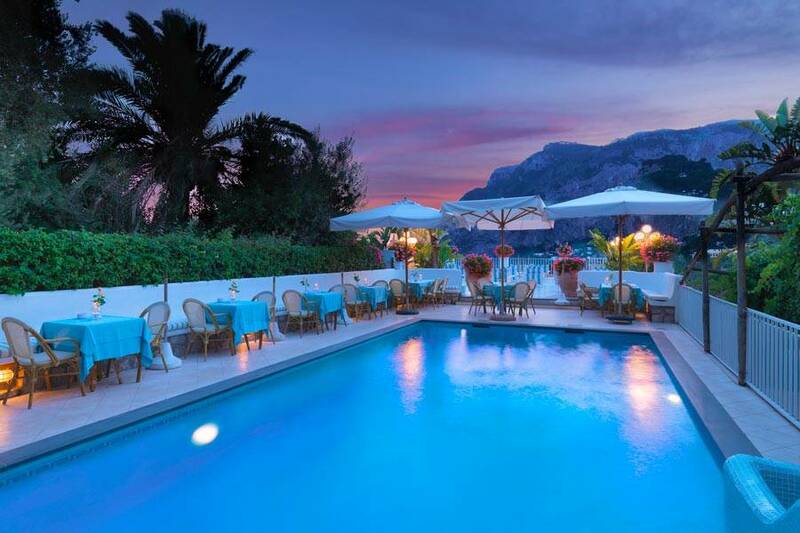 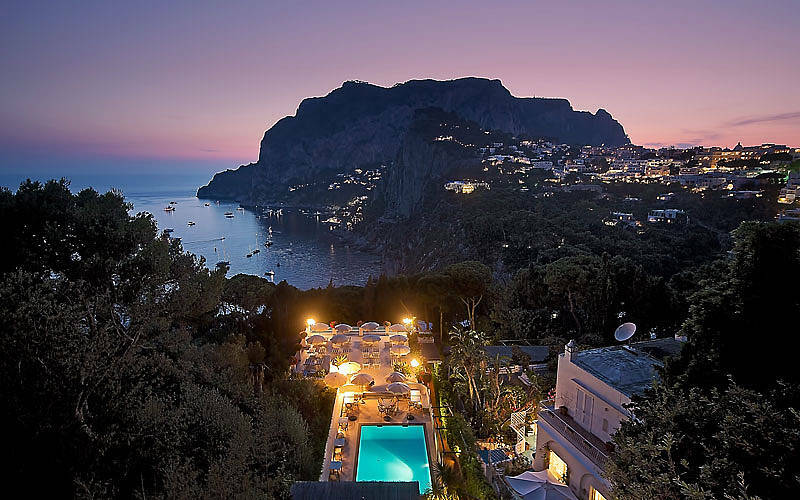 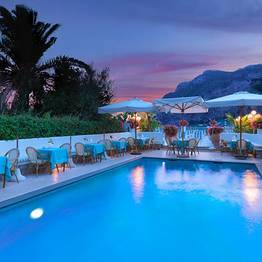 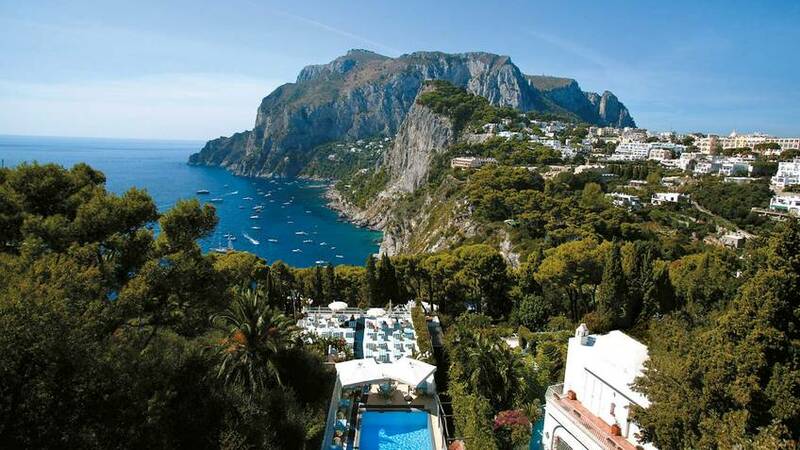 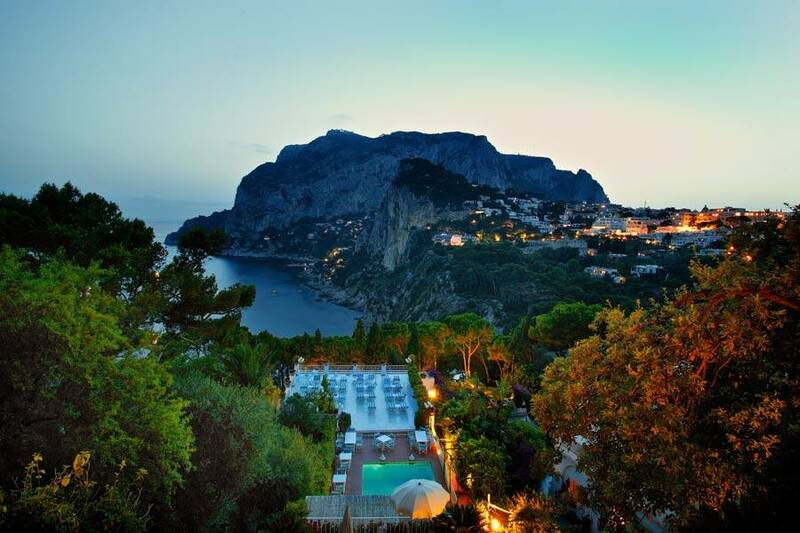 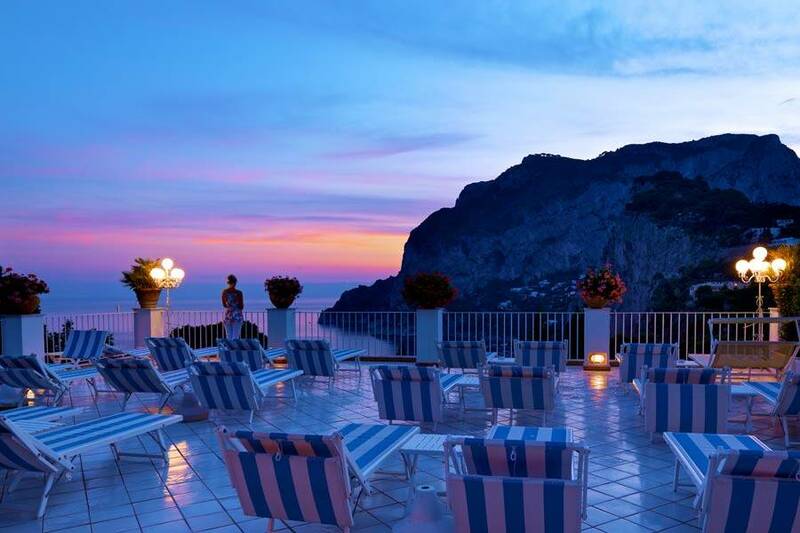 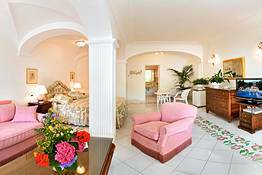 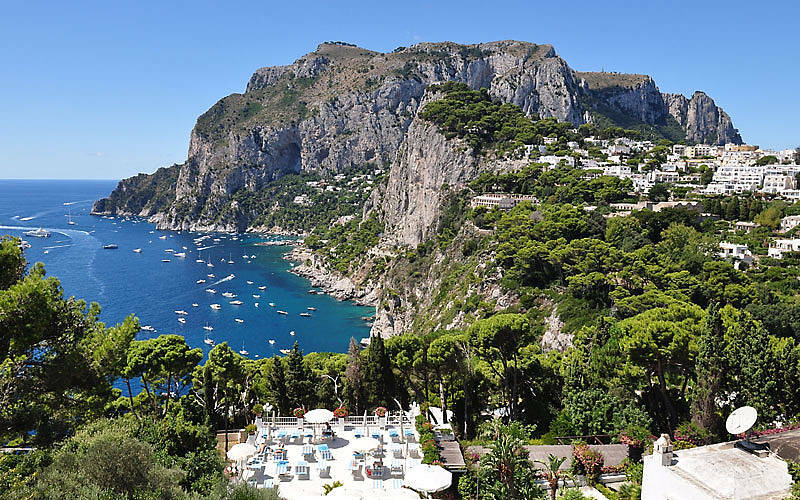 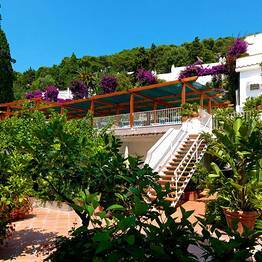 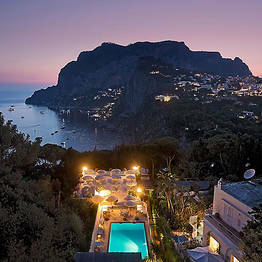 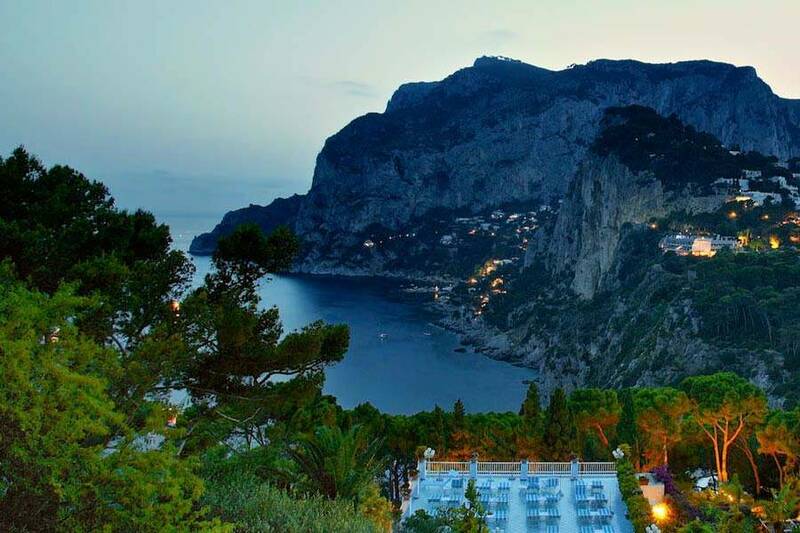 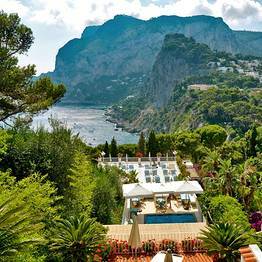 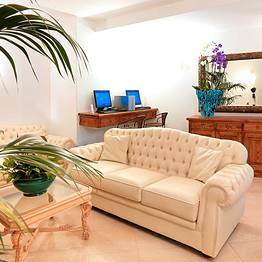 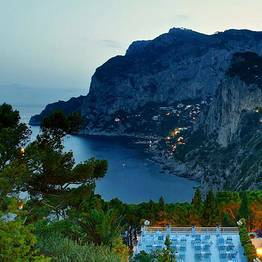 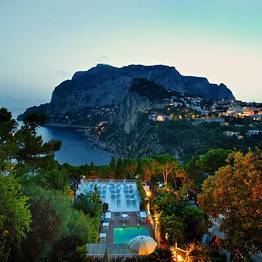 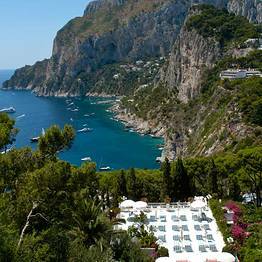 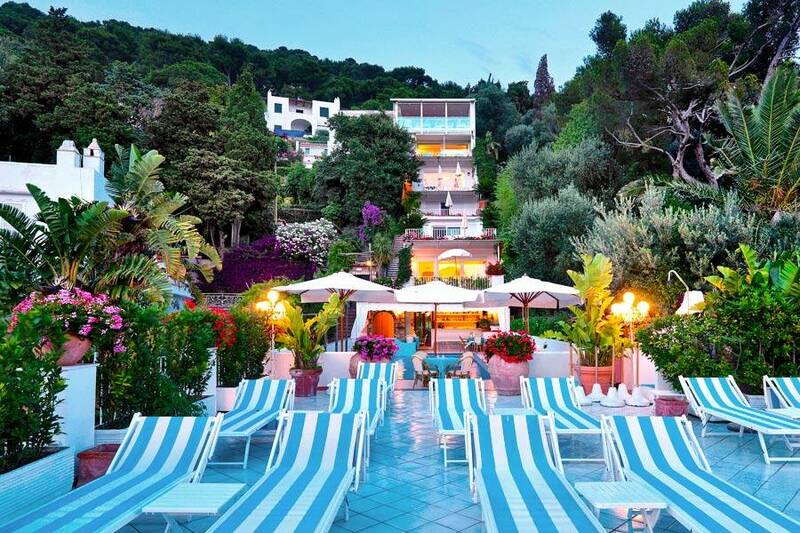 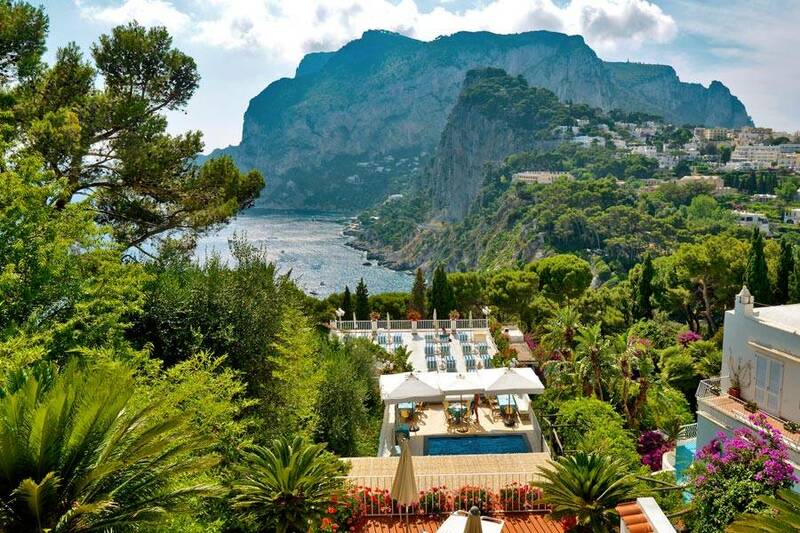 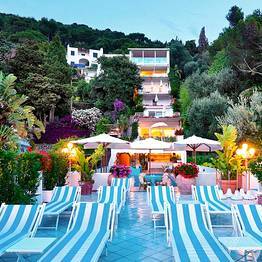 In one of the most beautiful spots on Capri, framed by the quiet Via Tragara on one side and the breathtaking view over the Mediterranean and captivating Marina Piccola on the other, Hotel Villa Brunella sits like a jewel, with its flowering terraces cascading down the rocky cliff like a waterfall of blooms. 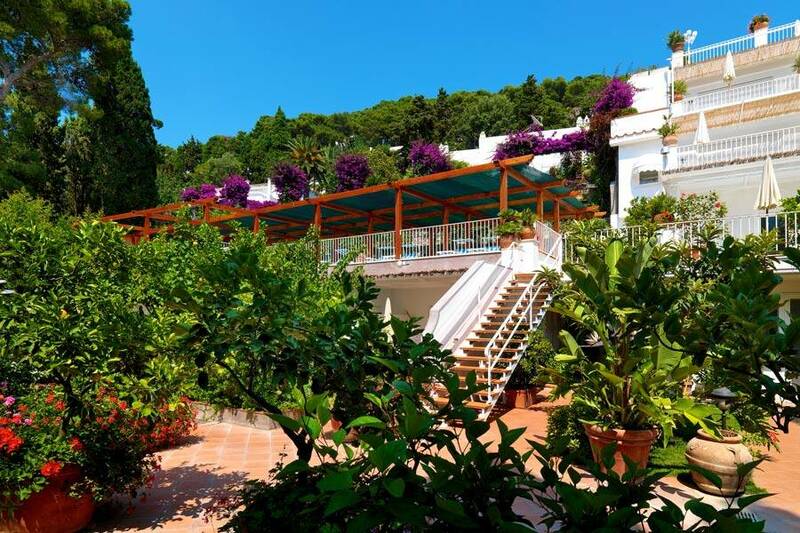 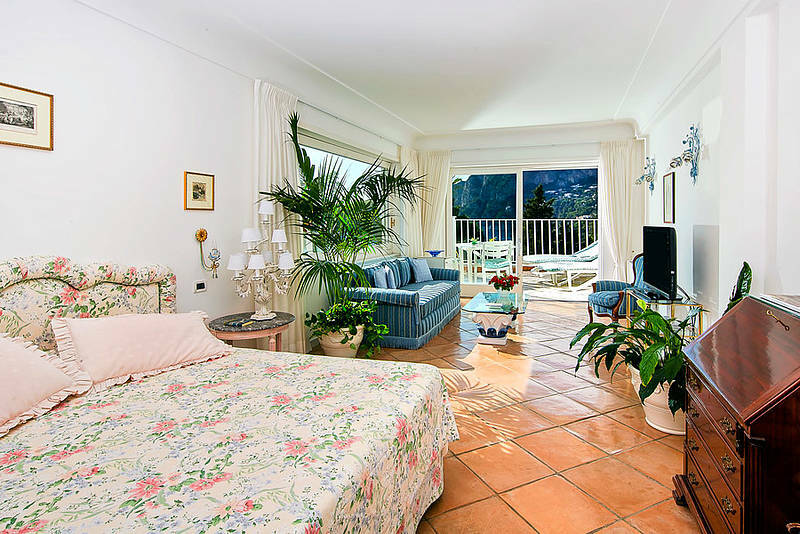 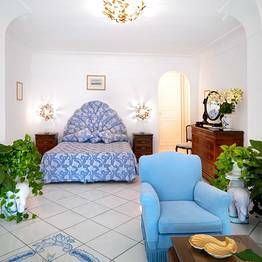 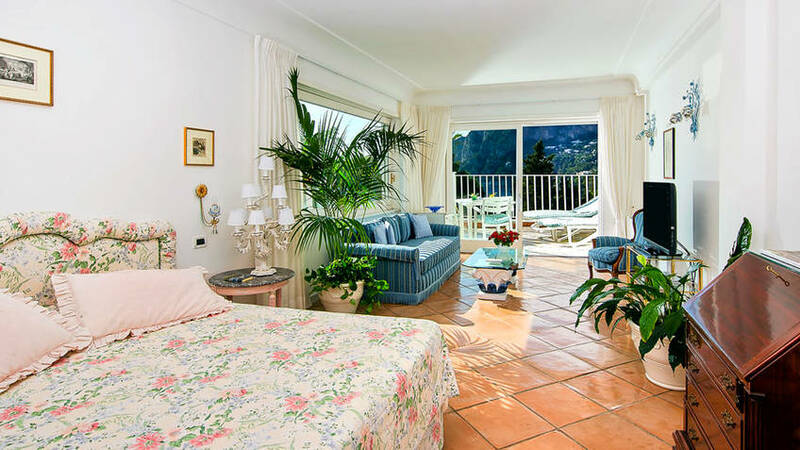 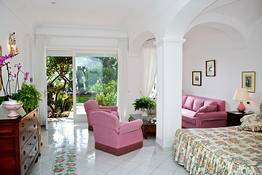 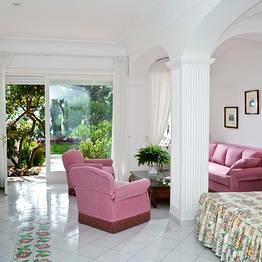 Like open-air living rooms, each room at Villa Brunella has a private terrace with views of the sea and surrounding gardens, where guests can enjoy the beauty of Capri in total privacy. 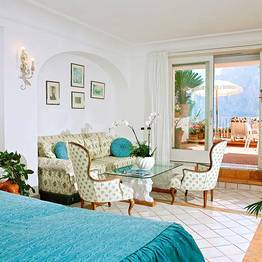 On the top floor of the hotel, the Special Junior Suites boast the most show-stopping panoramas. 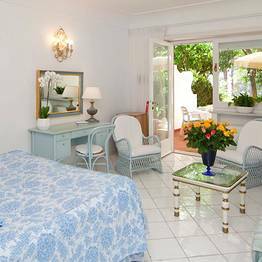 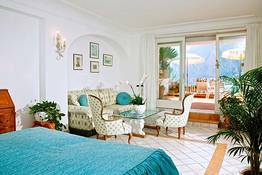 Room service at Villa Brunella is truly special, with breakfast, lunch, or dinner savored in the intimacy of your private terrace. 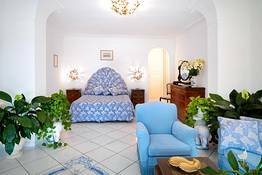 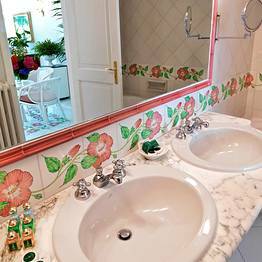 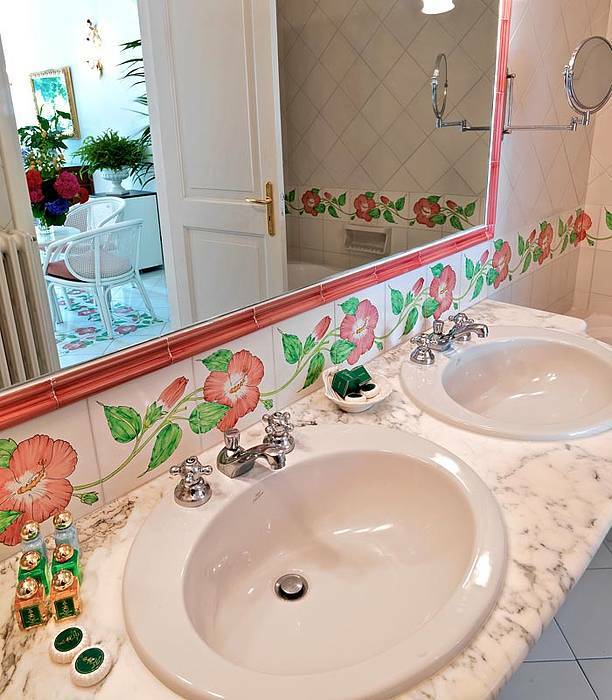 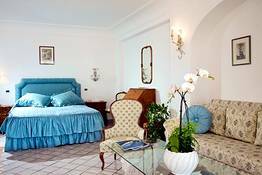 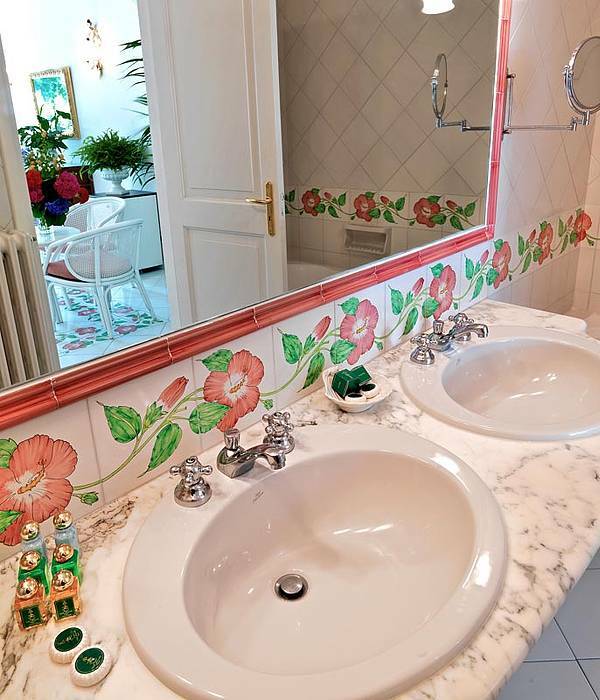 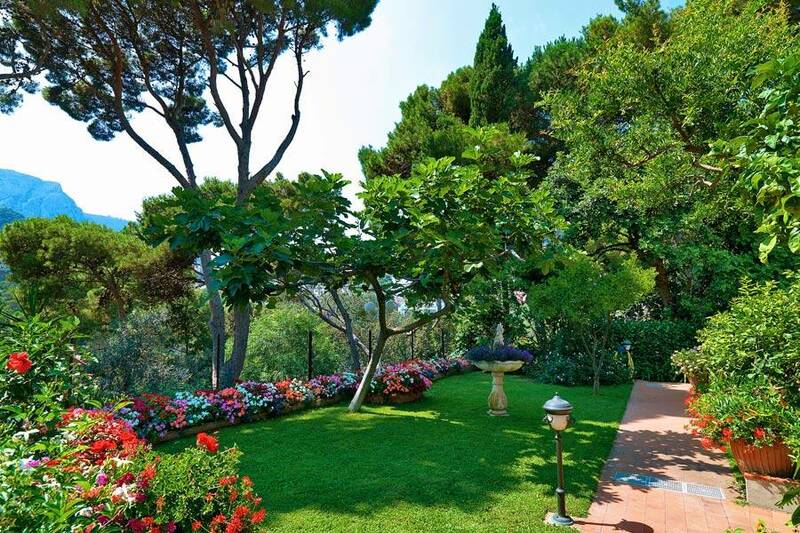 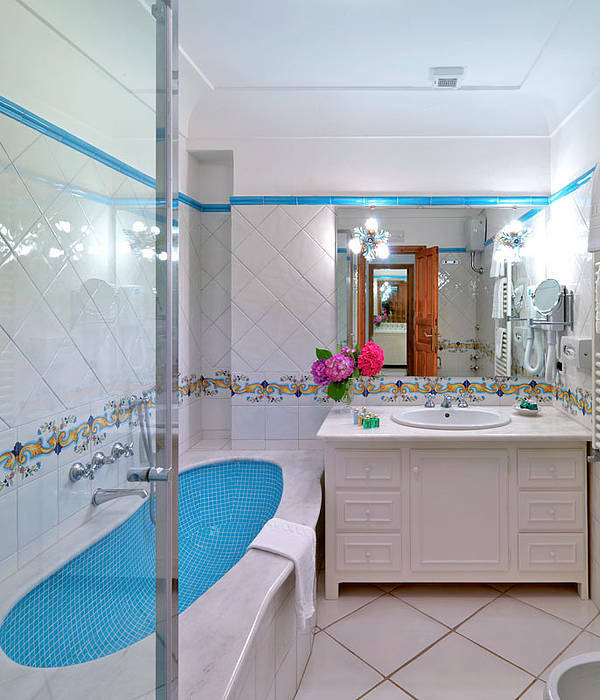 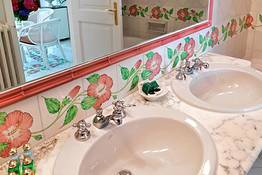 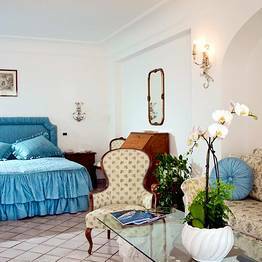 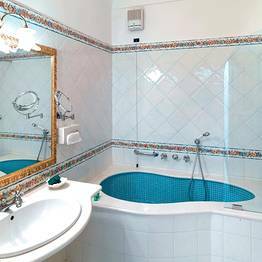 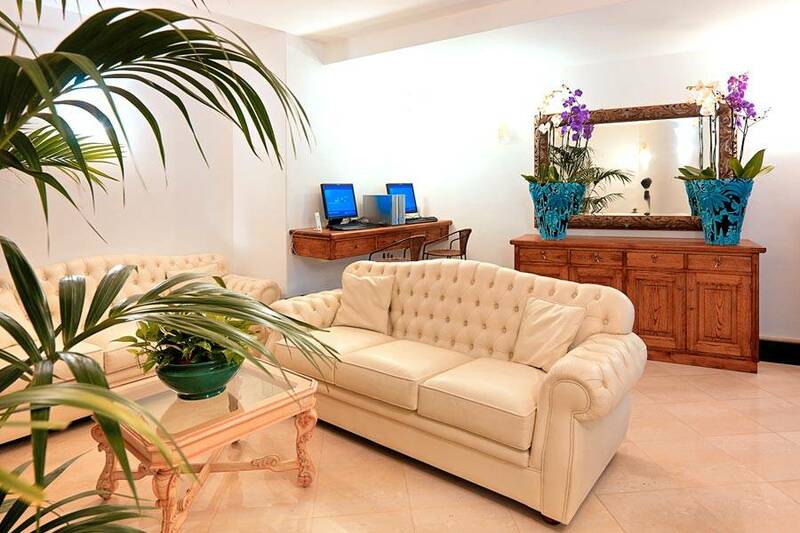 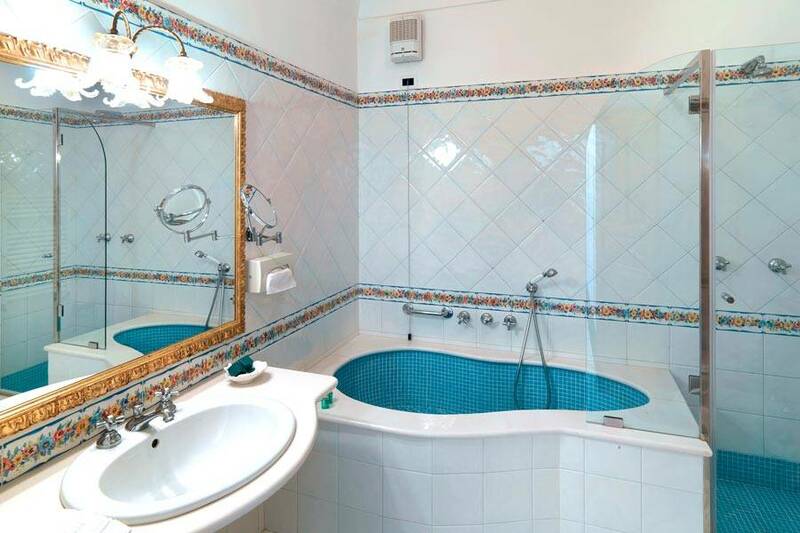 At Villa Brunella, guests are pampered with face and body treatments and massages with qualified physiotherapists, even in the privacy of your own room, if requested. 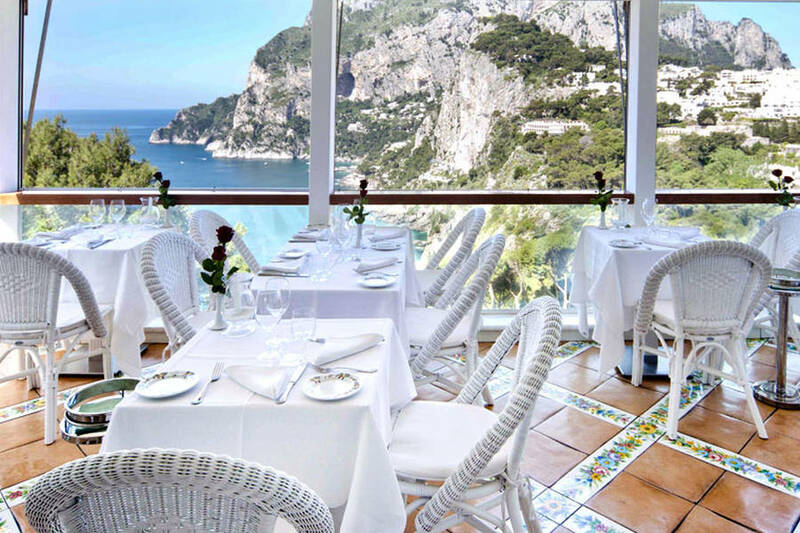 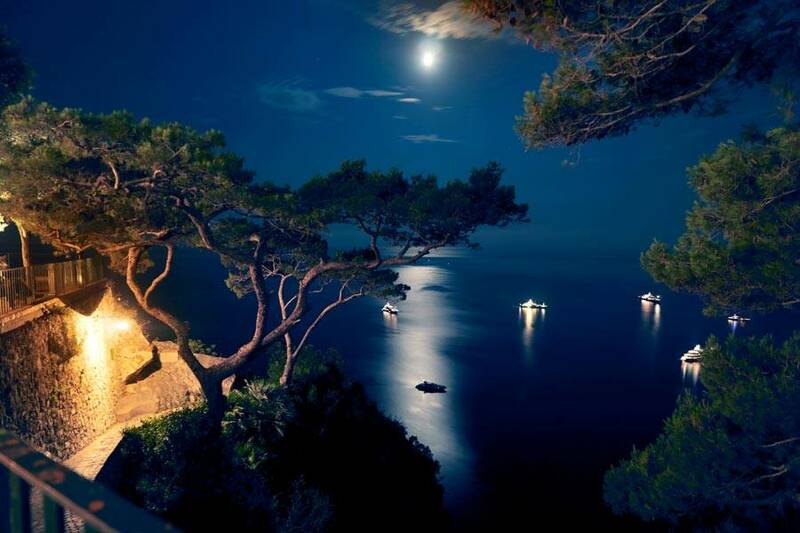 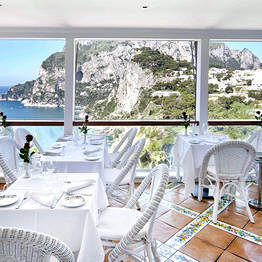 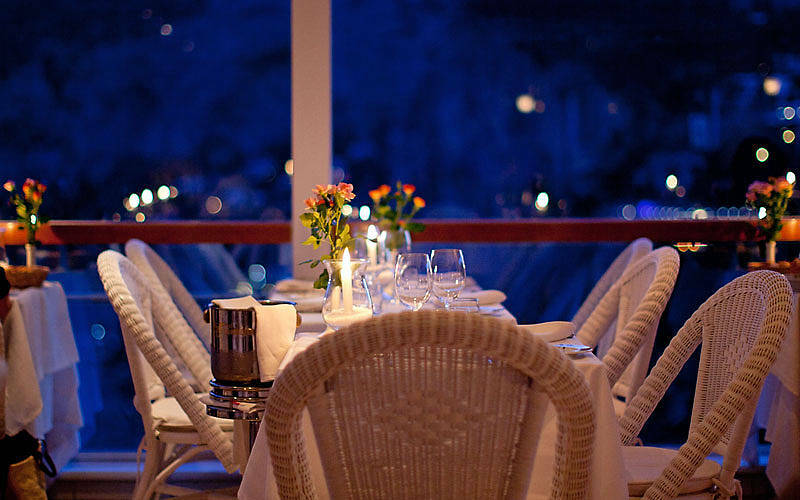 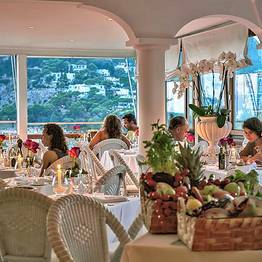 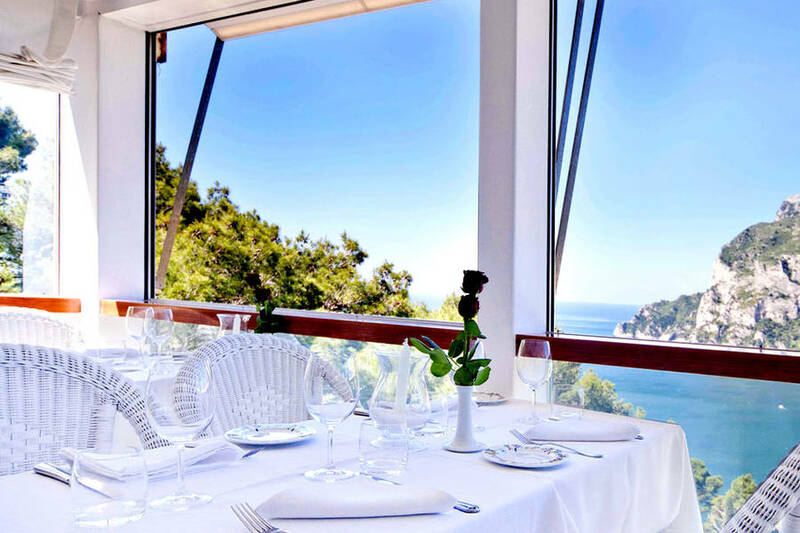 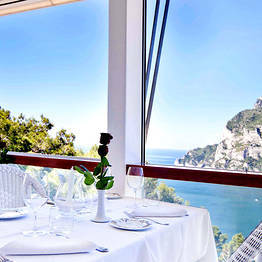 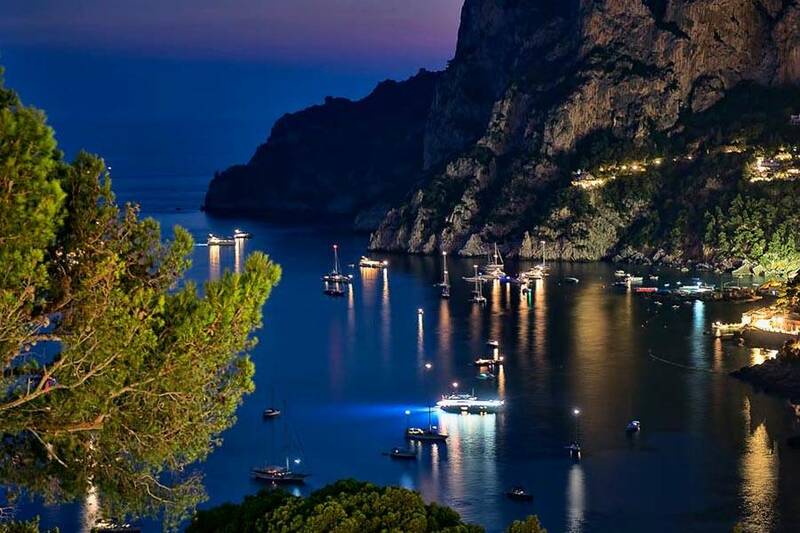 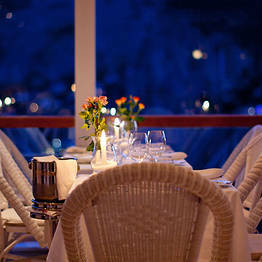 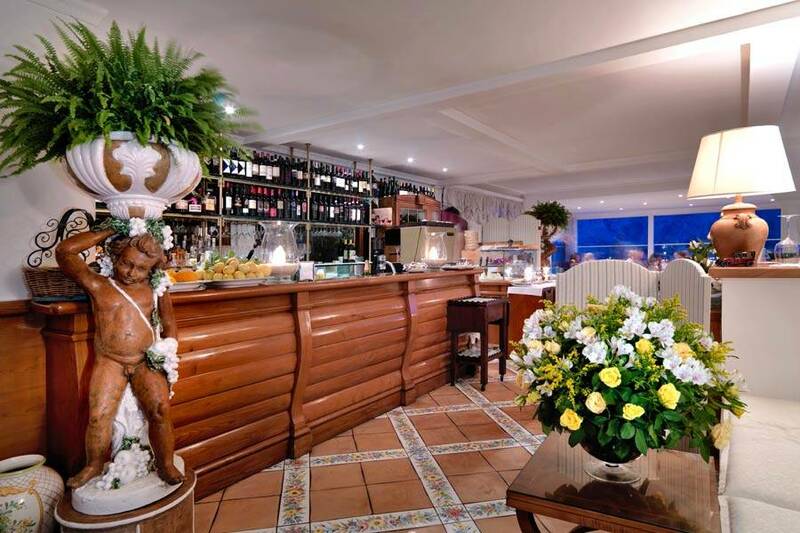 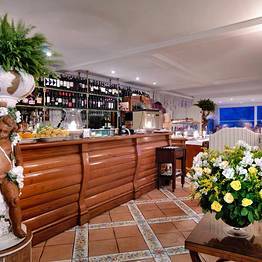 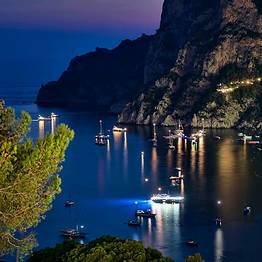 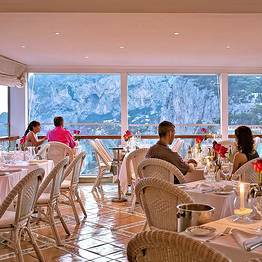 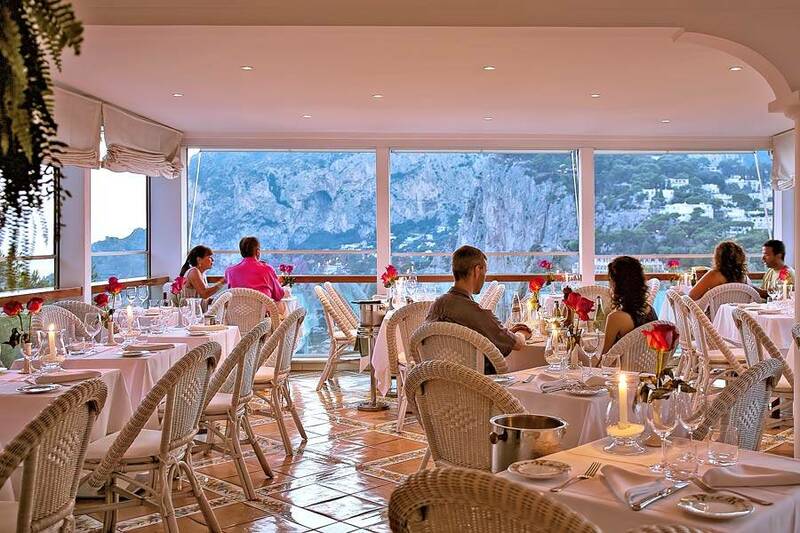 The view over the sea, dotted with bobbing boats and the distant lights of Marina Piccola, from your table at the Terrazza Brunella, the hotel restaurant known as one of the best on the island of Capri. 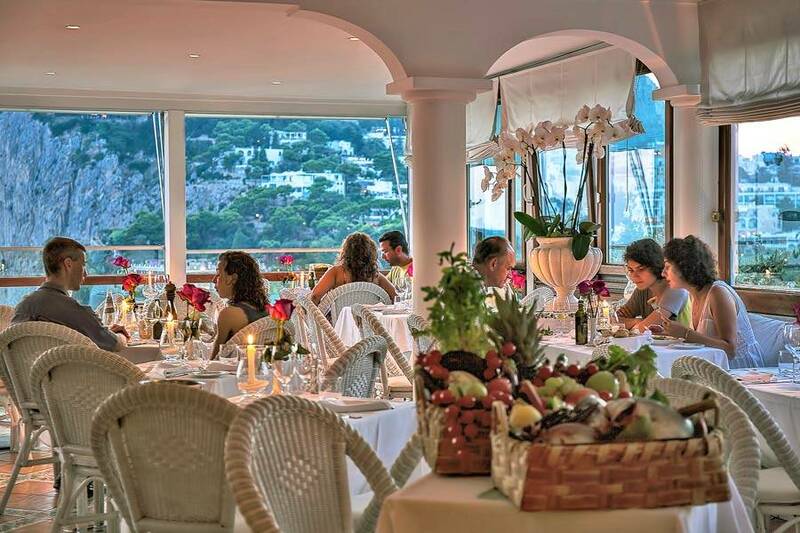 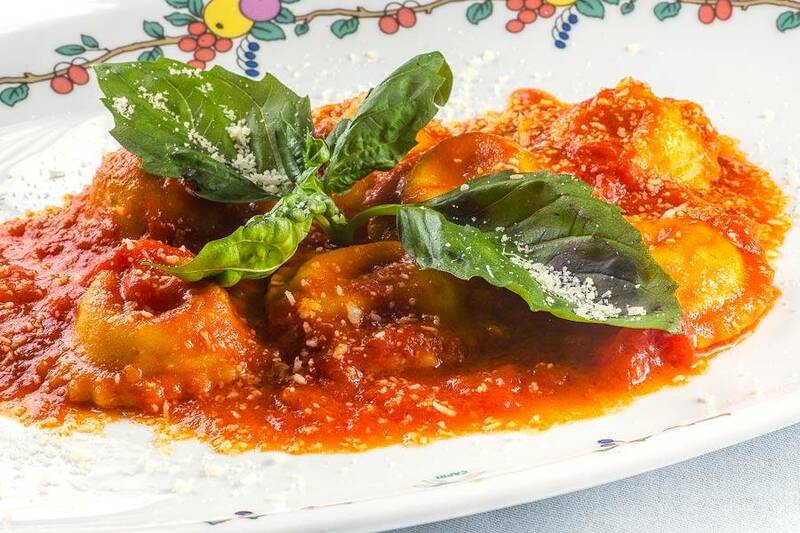 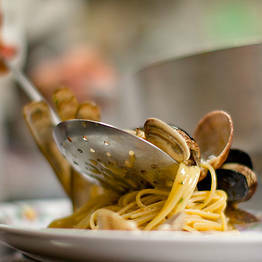 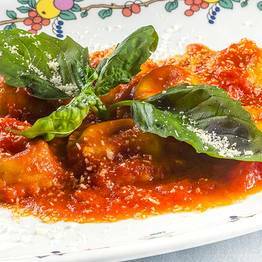 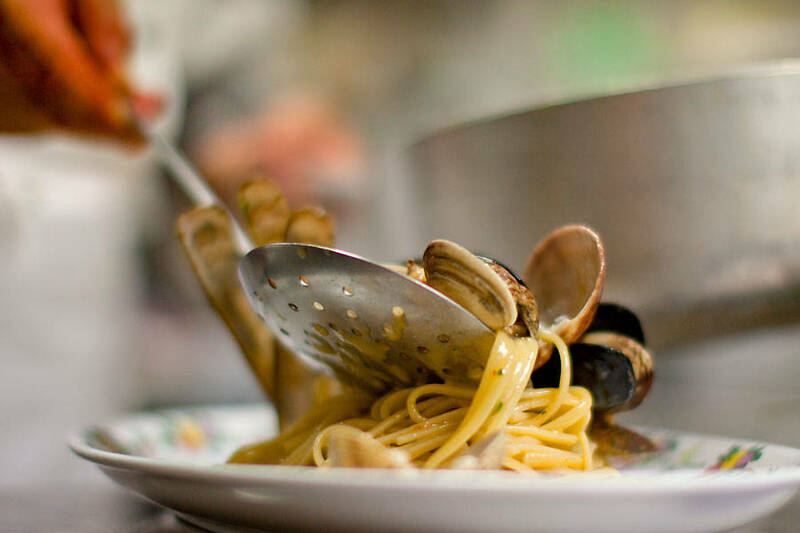 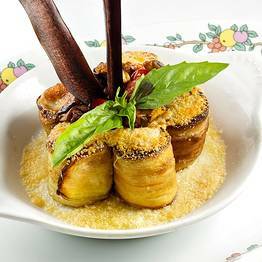 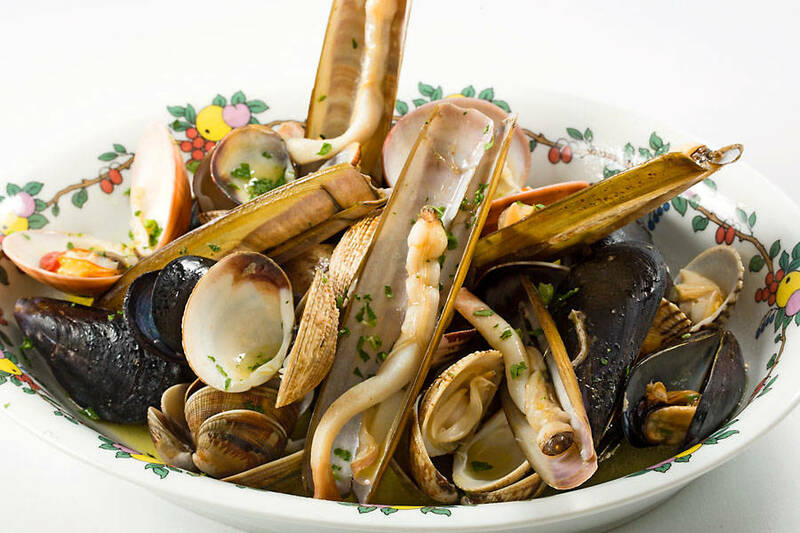 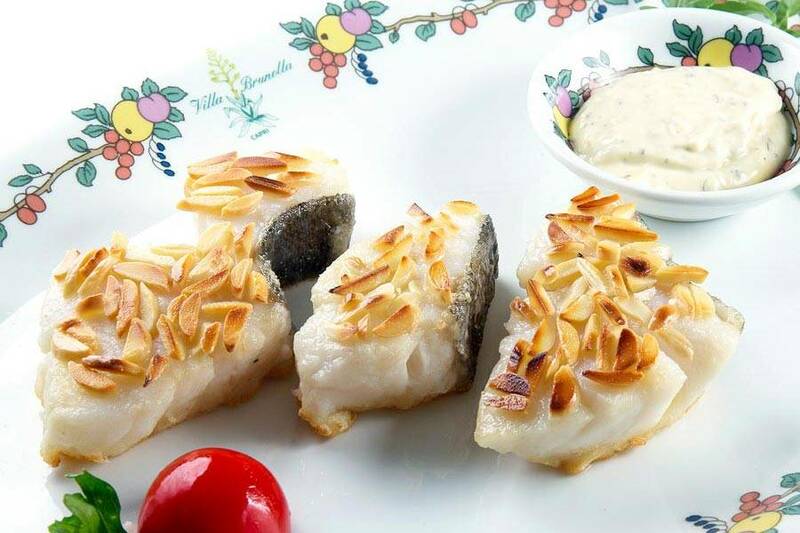 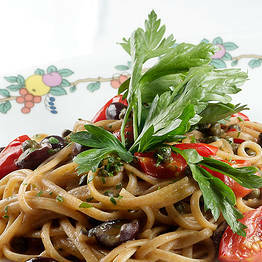 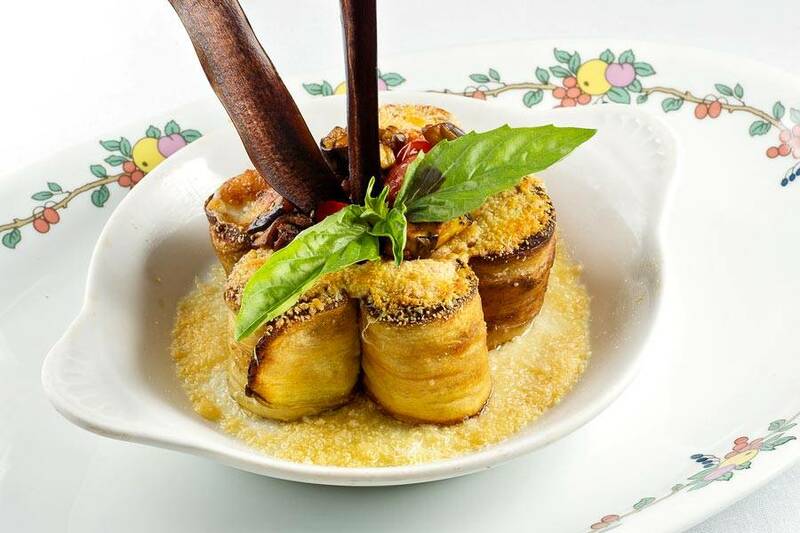 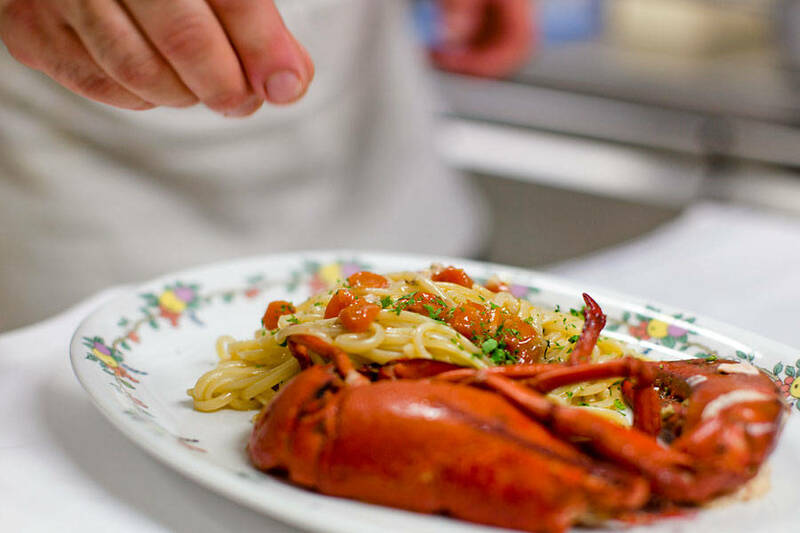 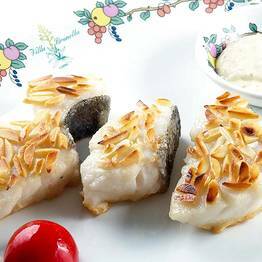 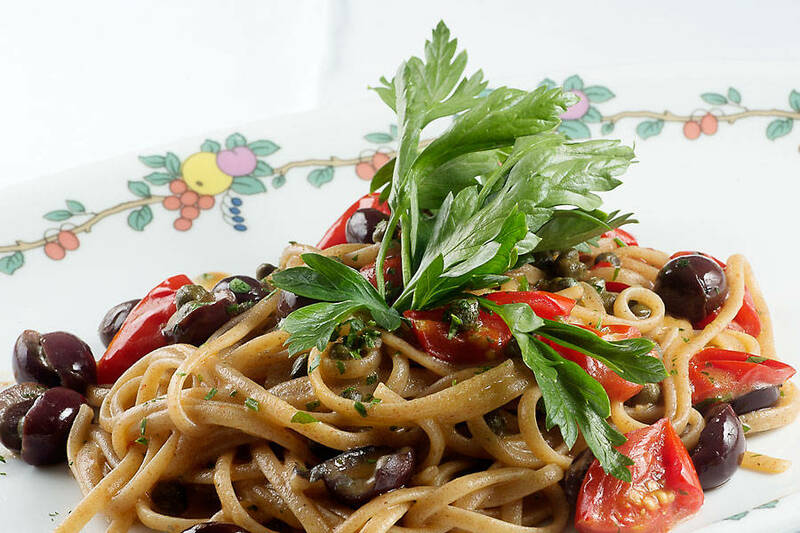 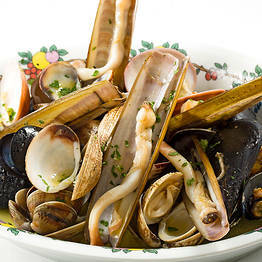 Chef Antonio De Simone's dishes are prepared according to traditional island recipes and there are special options for vegetarians and those who follow a gluten-free diet. 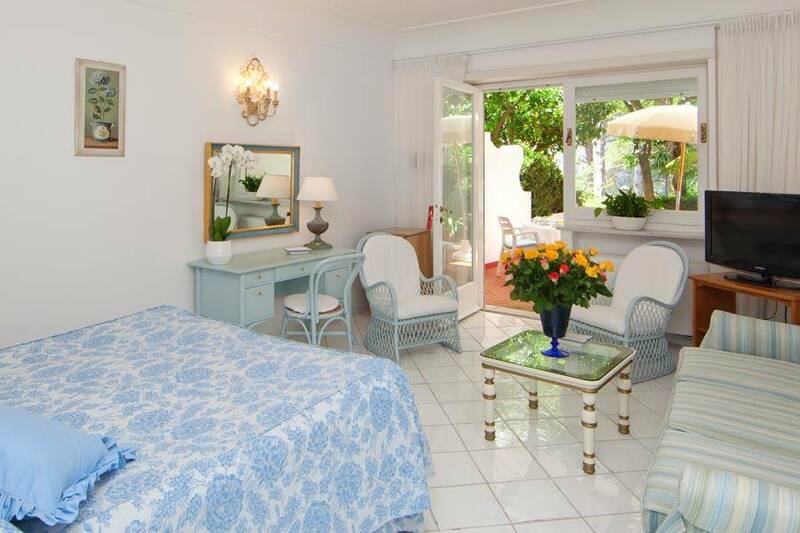 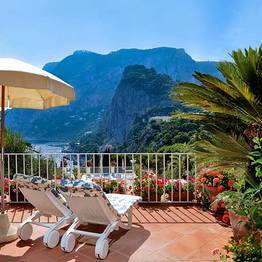 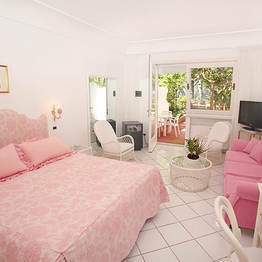 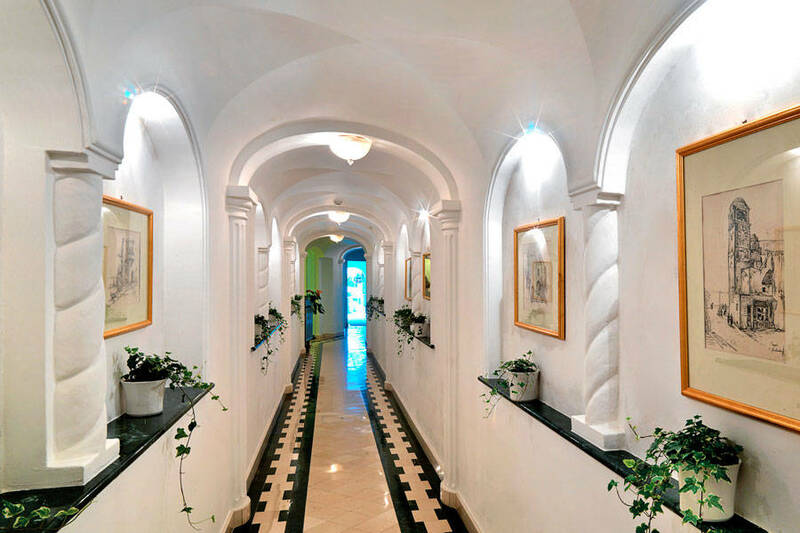 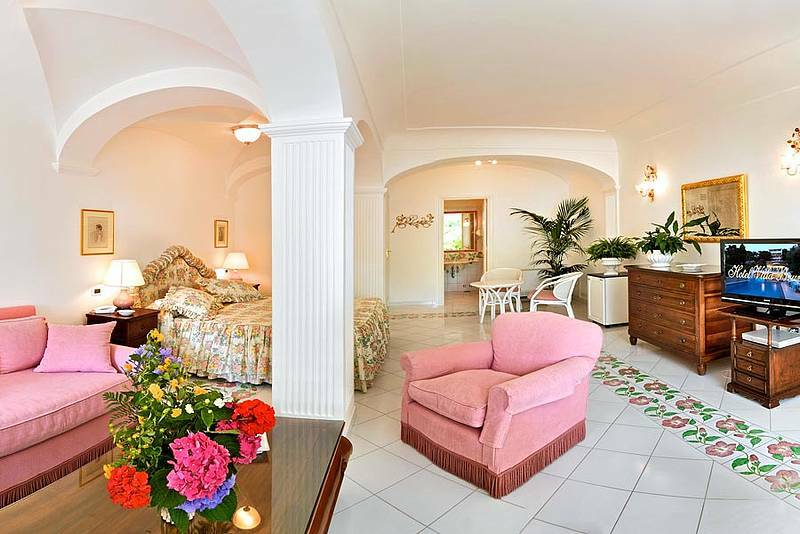 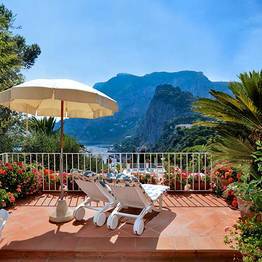 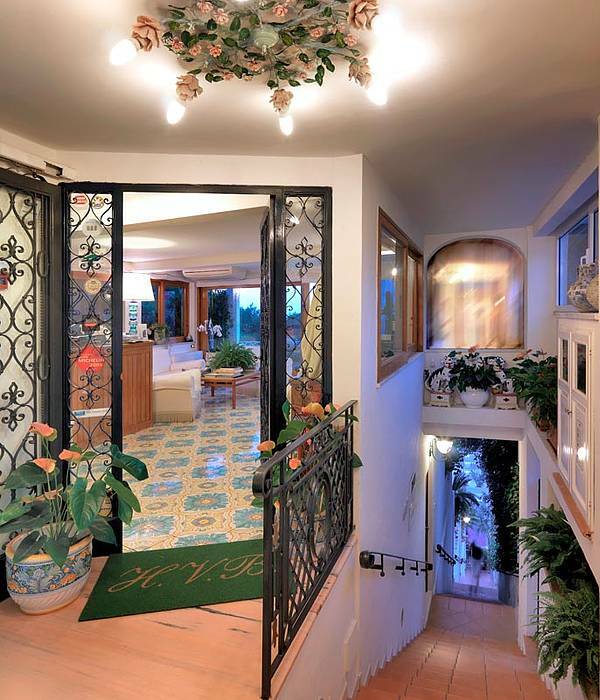 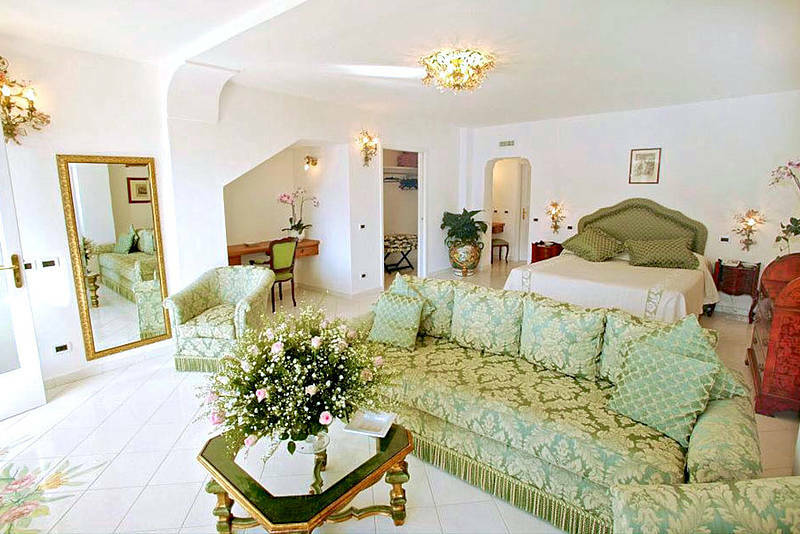 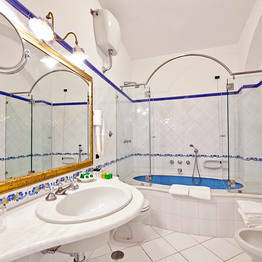 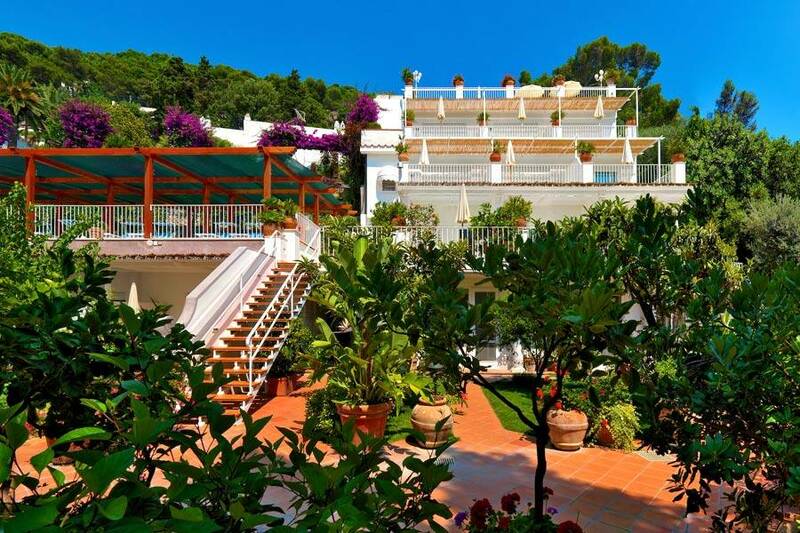 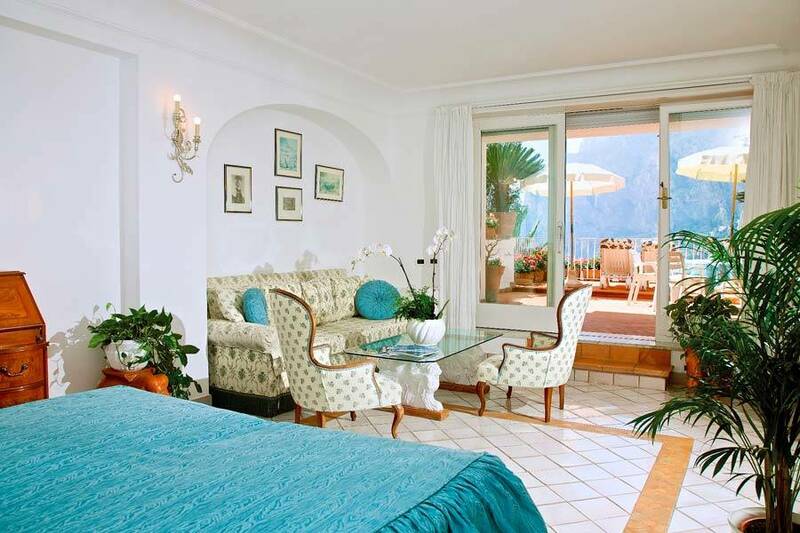 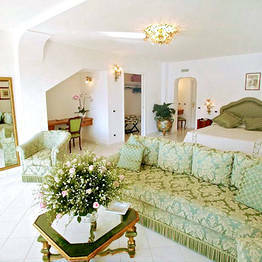 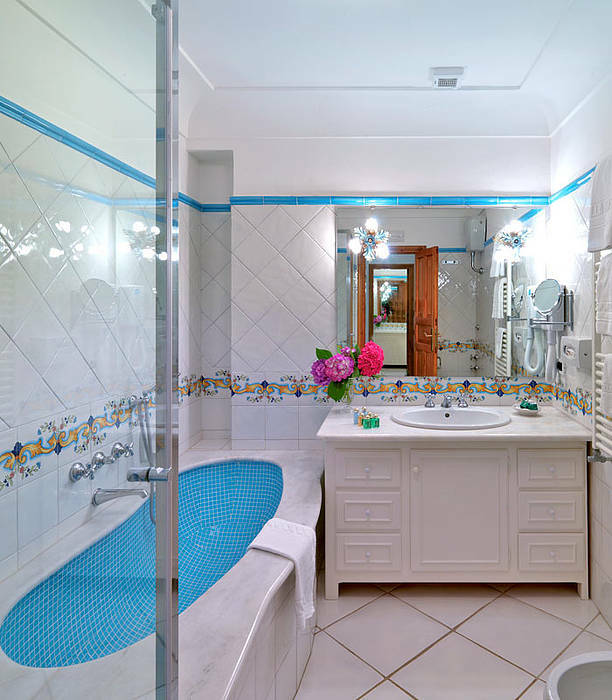 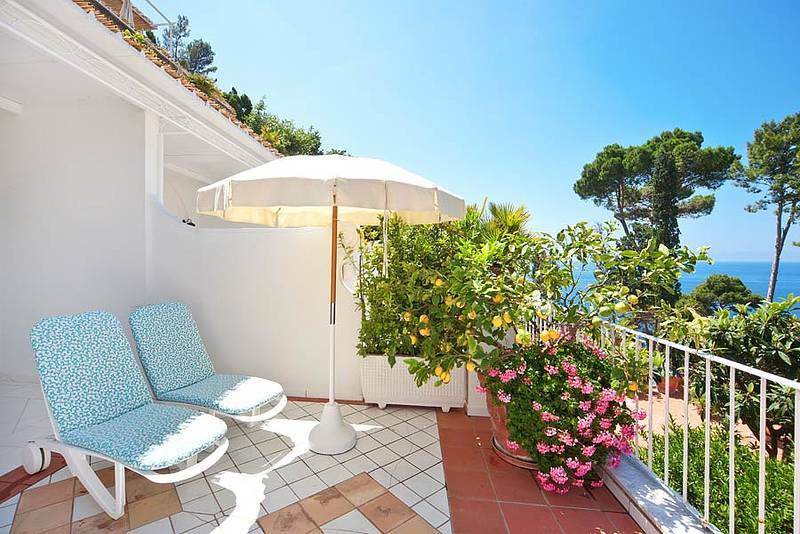 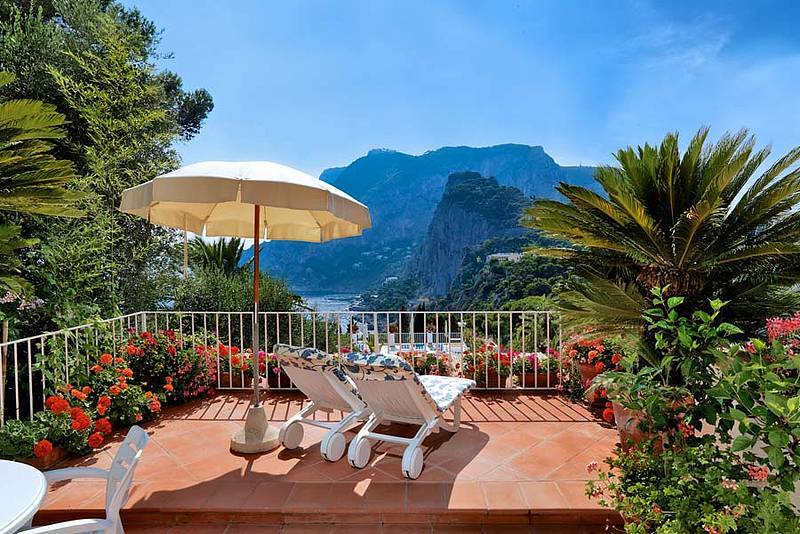 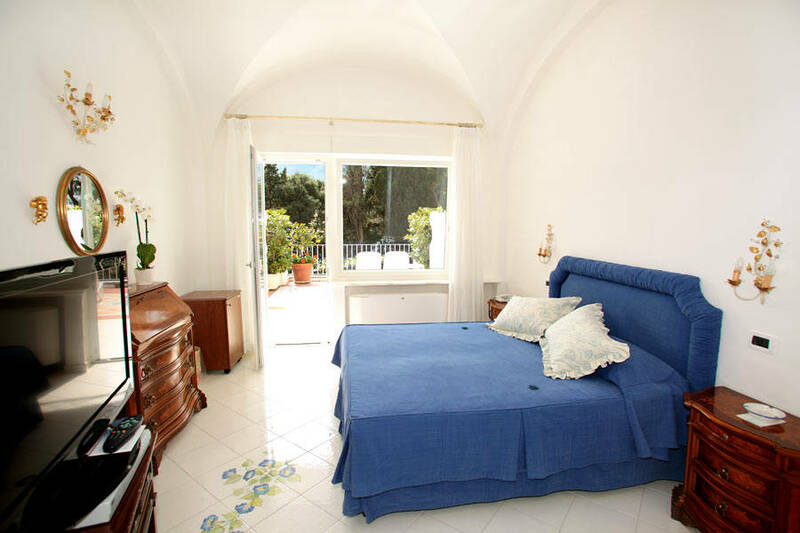 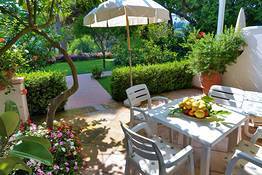 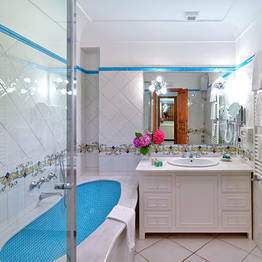 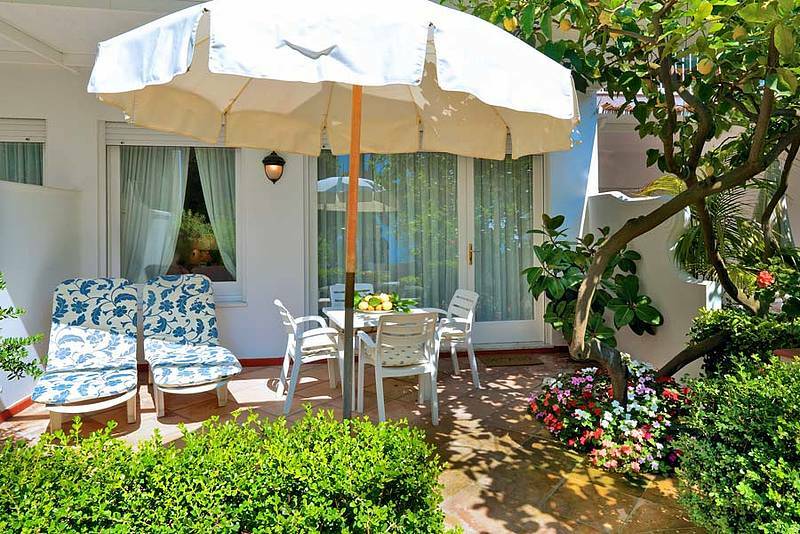 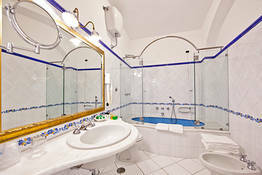 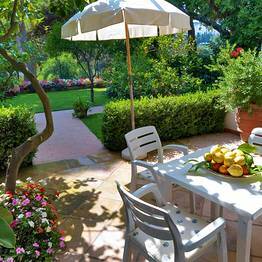 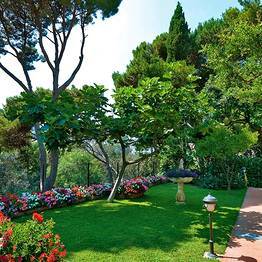 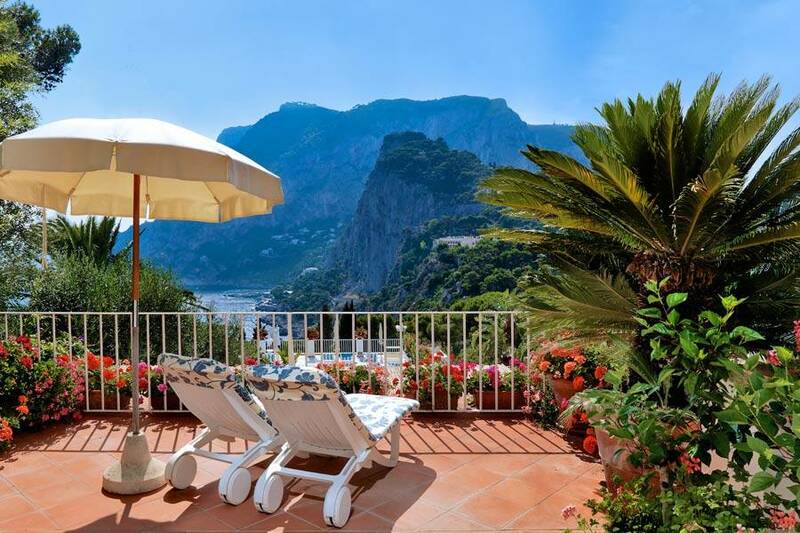 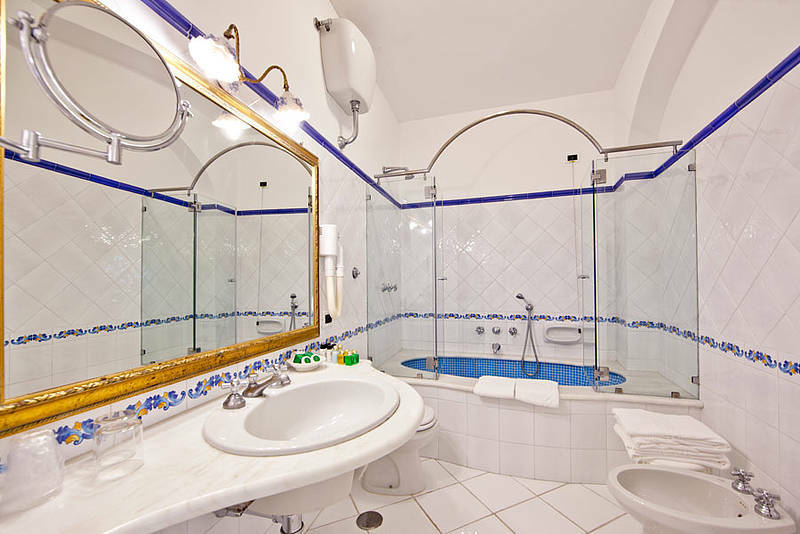 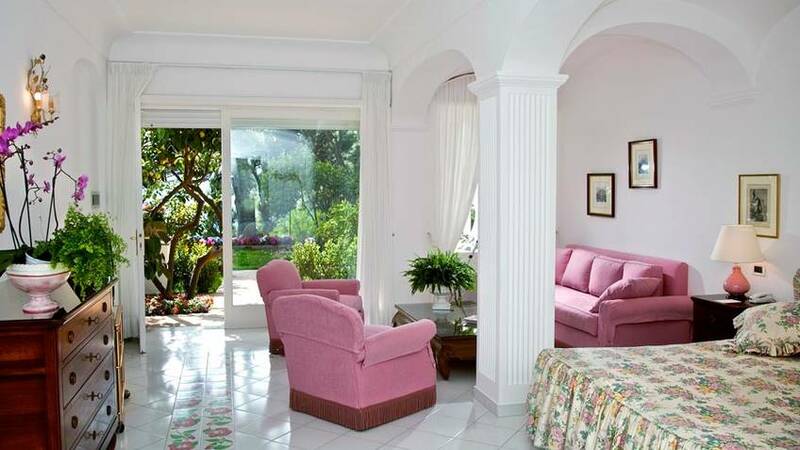 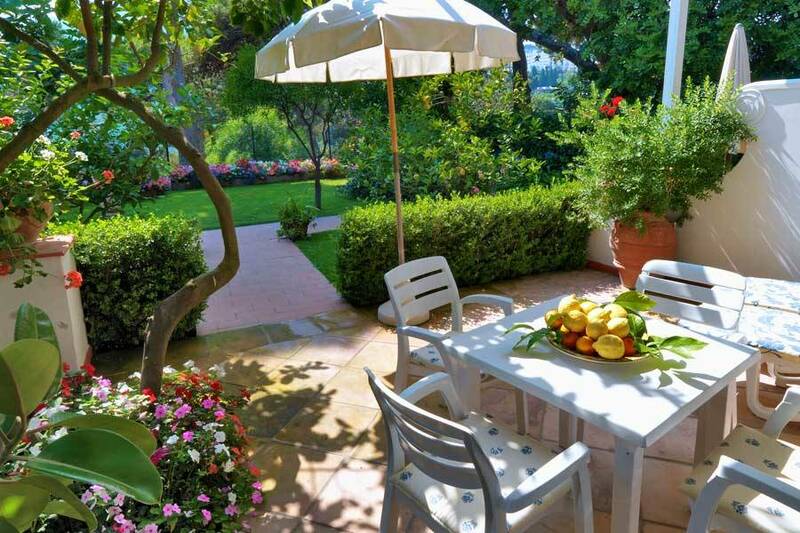 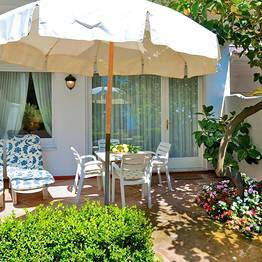 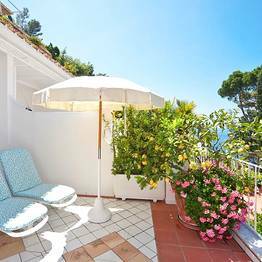 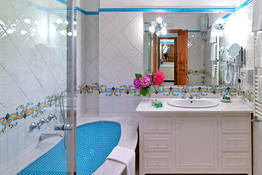 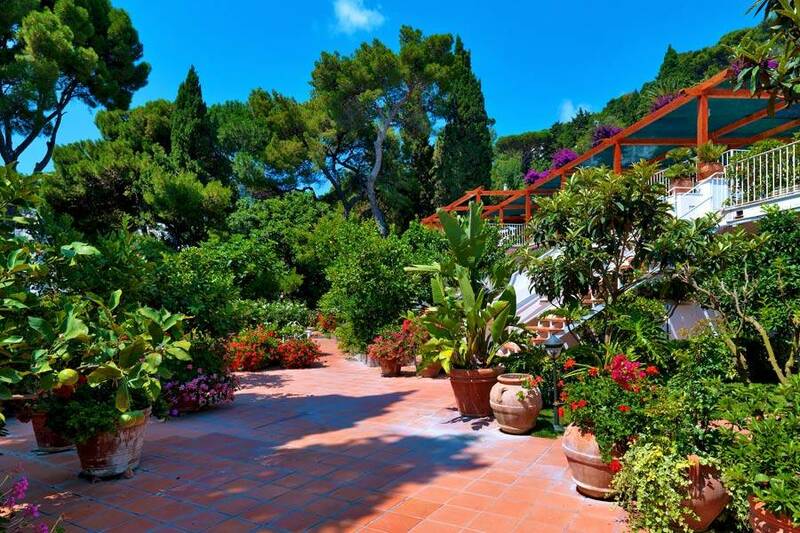 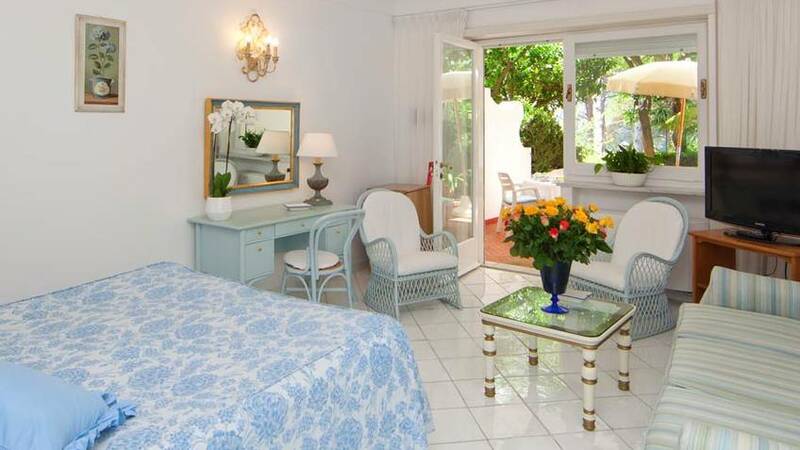 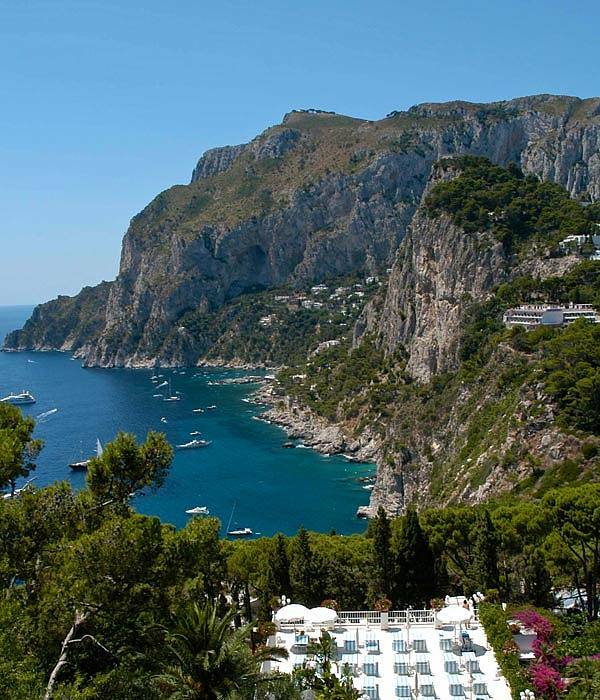 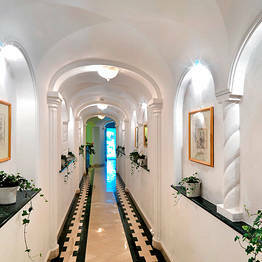 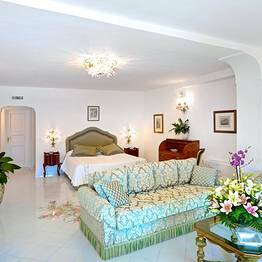 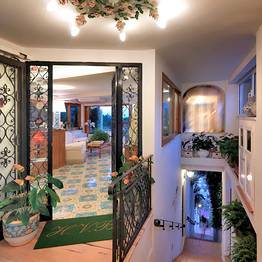 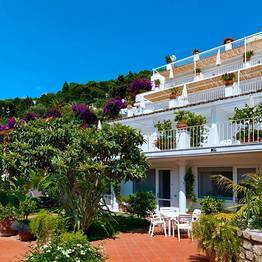 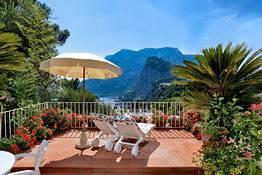 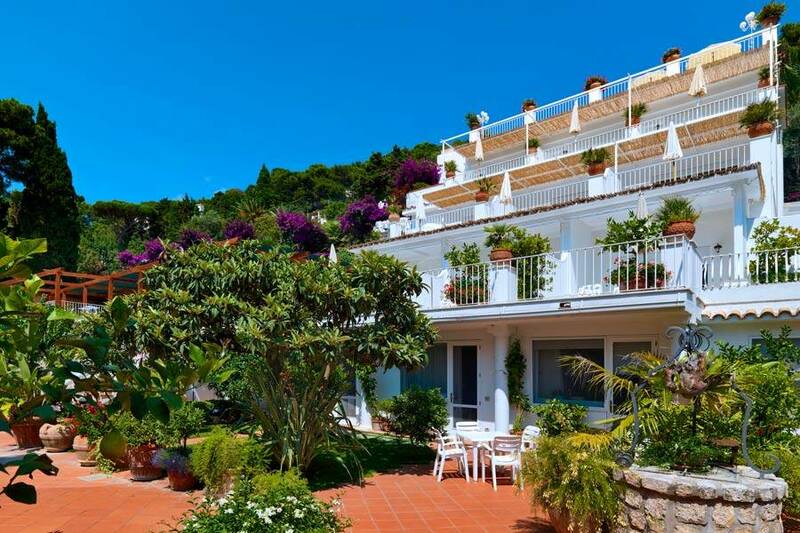 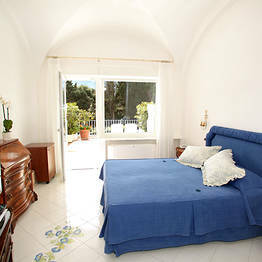 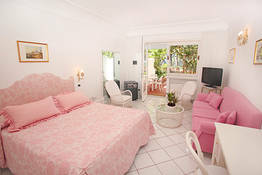 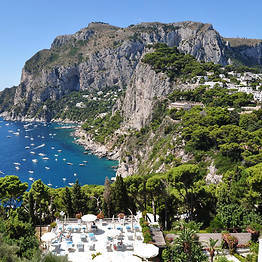 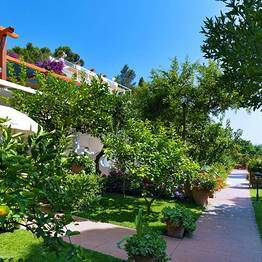 Book Villa Brunella on Capri.net now with no additional booking fees.